I’m one of those fellows that loves gadgets. 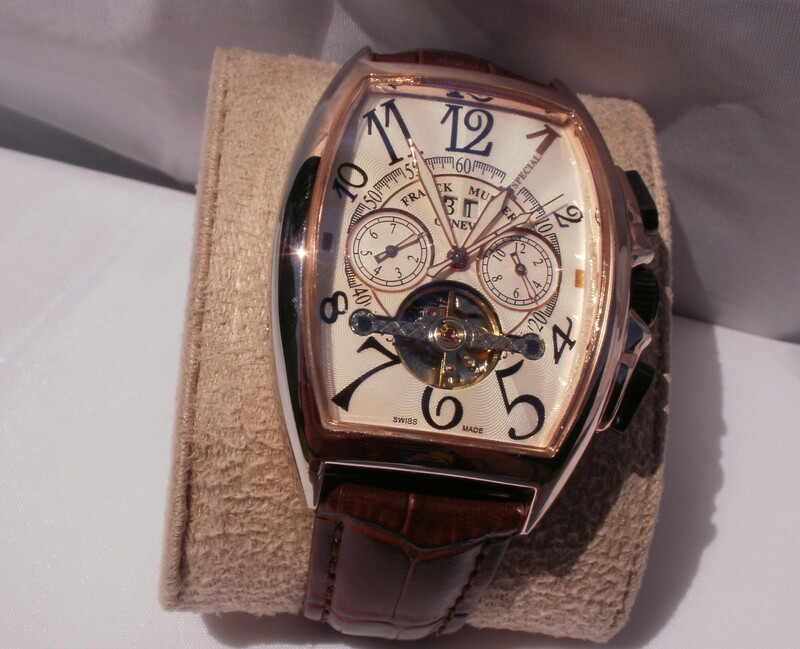 Although, to be honest, I have no logical use for a chronograph, I wanted one to add to my collection. 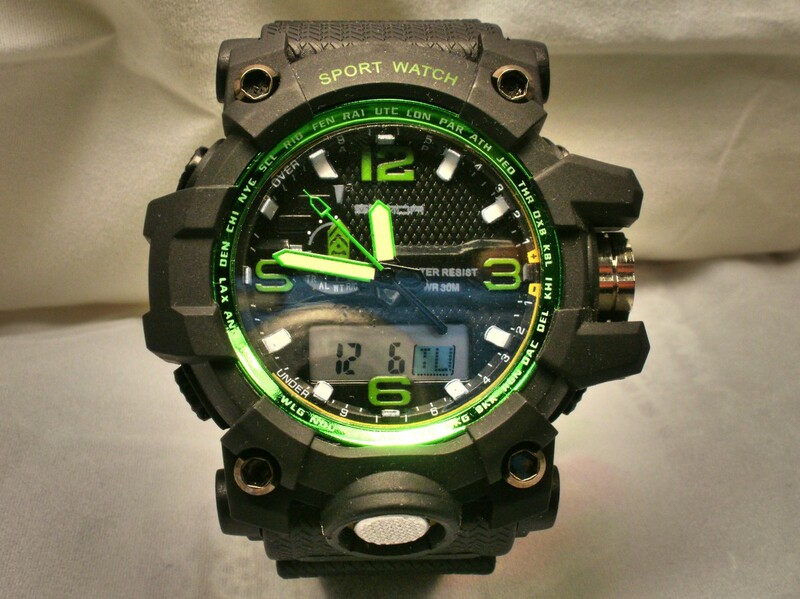 While chronographs are usually quite expensive, I found one on Amazon that fit my budget. The Benyar BY-5103M is available for only $32.99. 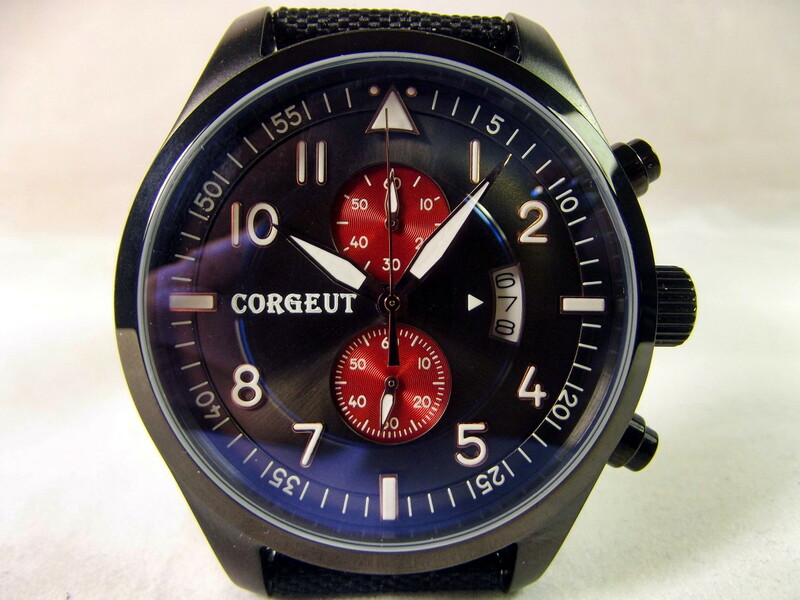 The case of the Benyar chronograph is composed of black painted alloy metal. A crown and two pushbuttons jut from its right edge. 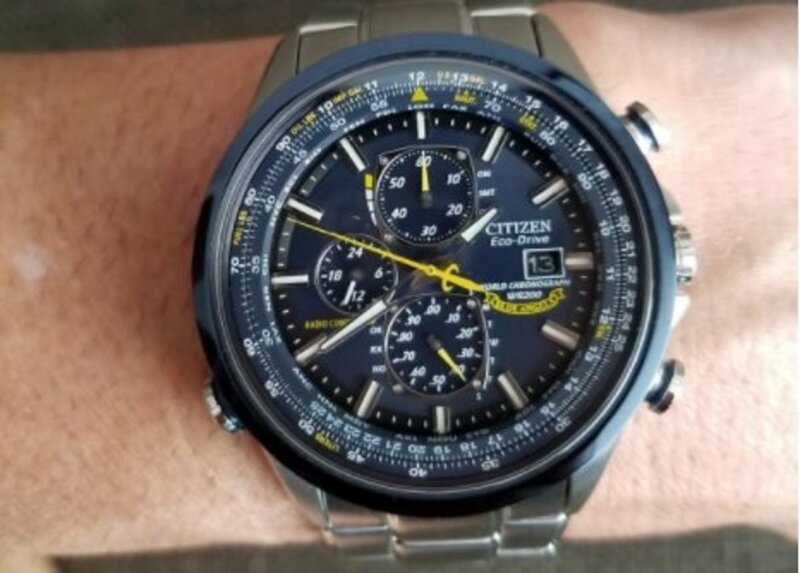 The top button starts and stops the chronograph function. The bottom switch resets it to zero. 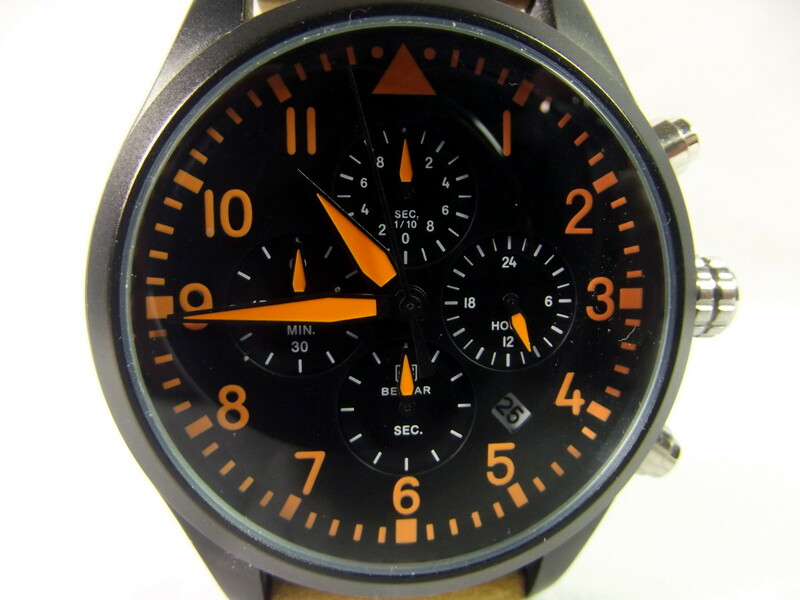 This watch features a black dial with orange hour and minute indicators. All but one of the hands are colored to match. A tiny window at the for 4:30 position presents a number representing the day of the month. The subdial directly above this functions as a twenty-four-hour clock. Three subdials are used in conjunction with the chronograph feature. One hand rotates once every hour and one completes a full cycle every minute. The indicator of the uppermost dial circles every two seconds. If your hand and eye coordination are up to it, you can time an event to within one-tenth of a second! 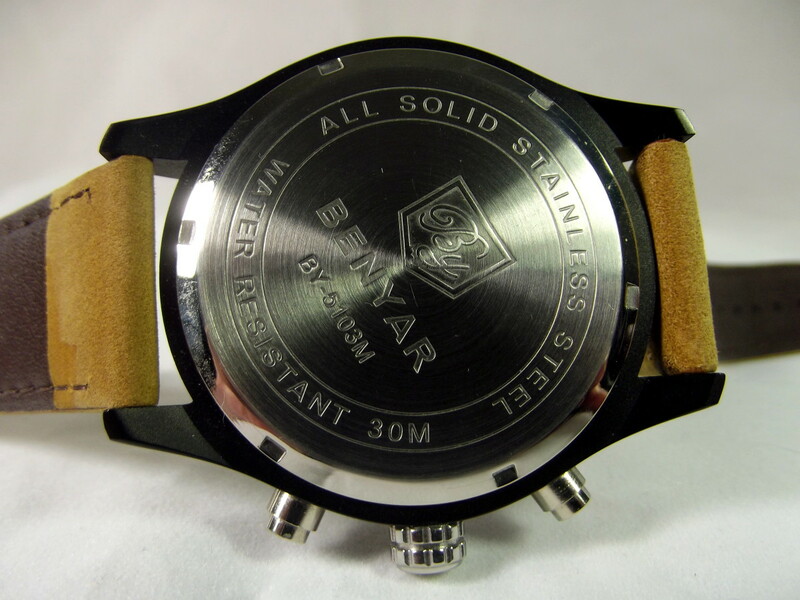 A crystal composed of scratch proof mineral glass hovers above the dial. 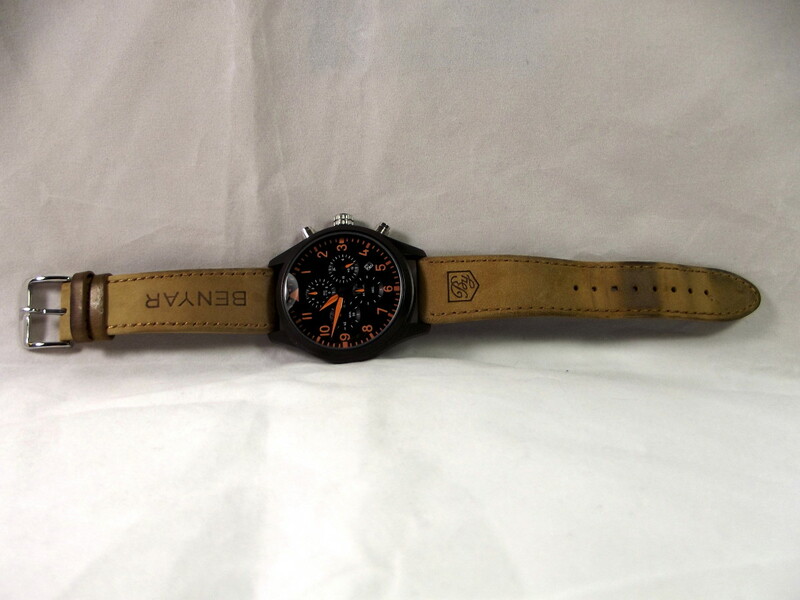 This model features a decent quality, tan leather strap, embossed with the manufacturer’s name and logo. 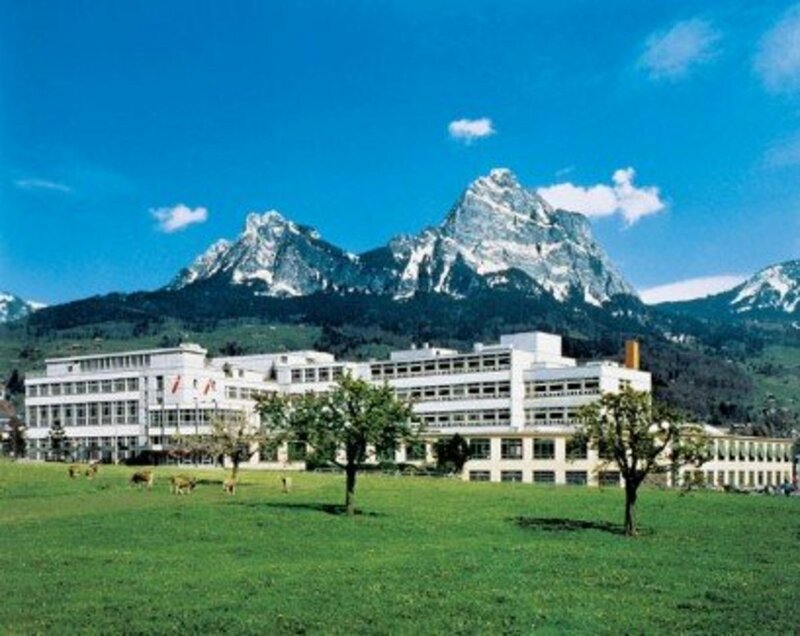 BY BENYAR is trademarked by Ye Yingbin of 33 Xiazhaiwai, Pudou Village; Zhanlong Town; Puning; Guangdong. Guangdong is the most populous and economically viable province in China. Its economy is roughly equal to that of Mexico and the majority of China’s watch manufacturers are situated within this province. 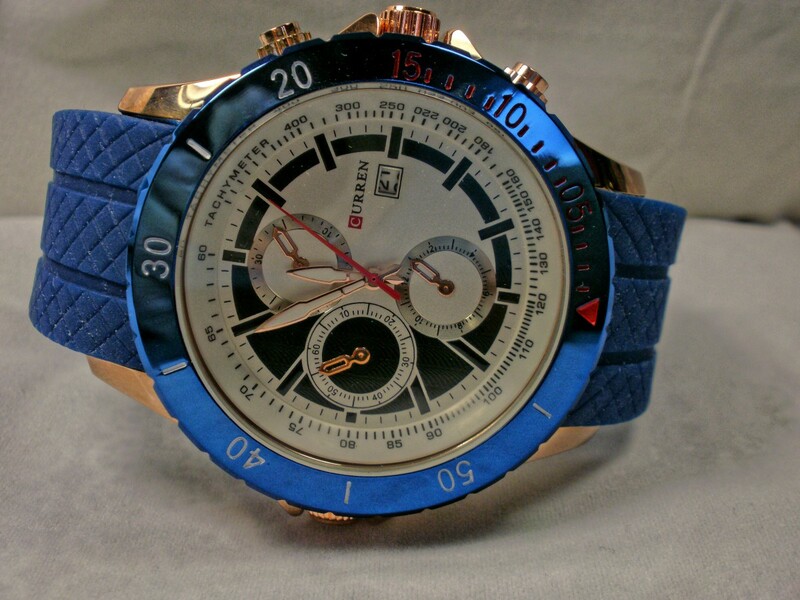 Unfortunately, I have been unable to ascertain which factory manufactures By Benyar timepieces. The black and orange dial is packed with subdials, reminding me of the dashboard of a sports car or, perhaps, a small plane. It is quite striking. Benyar chose to use a black colored second hand which, unfortunately, is difficult to pick out against the background of the chronometer’s dial. The silver crown and pushbuttons will come across as a bit flashy for some people, but I like the effect. 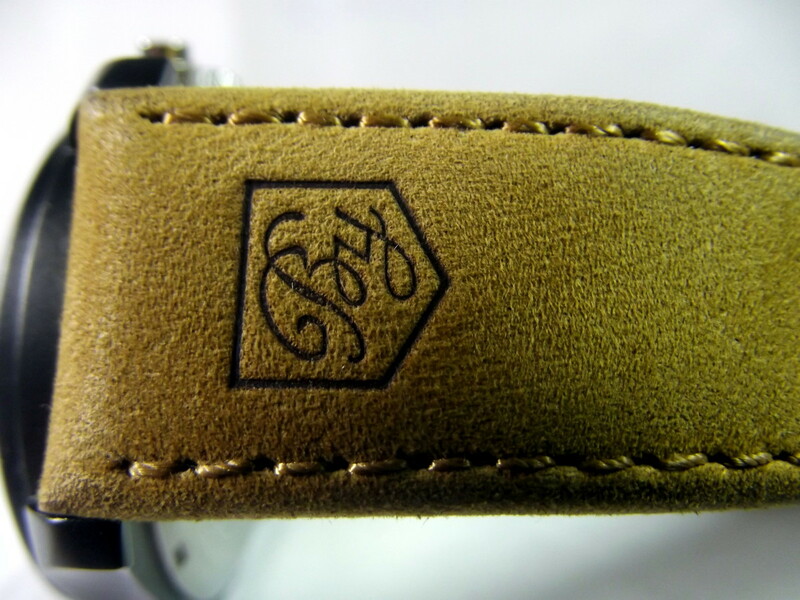 This watch’s strap is composed of a napped leather; perhaps suede. 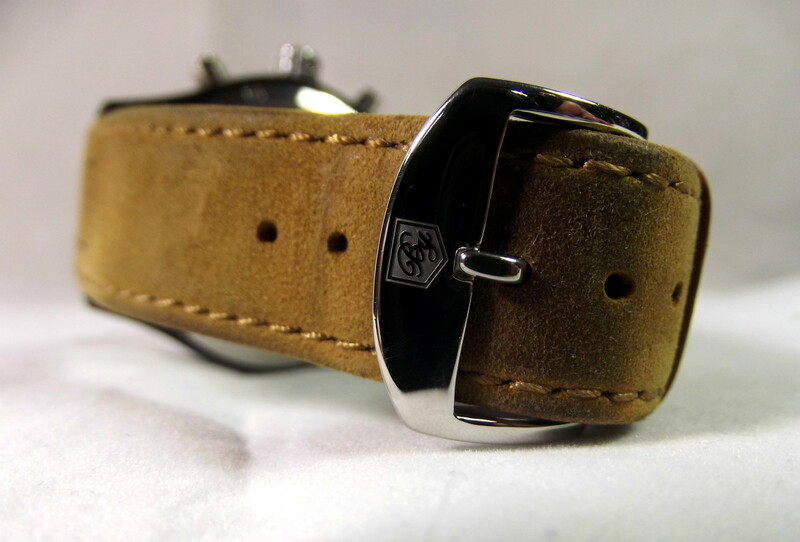 The band looks really good but the fine hairs coating its surface tends to pick up oil from your skin. This results in a strap which is darker where it is handled. While I consider this to be an example of building the timepiece’s character, others will feel the strap is covered in filth. Most Chinese manufactured watches arrive protected by bubble-wrap and stuffed into an envelope. The Benyar BY-5103M came enclosed within a solid cardboard and plastic presentation box. They also included a tag, guarantee card, polishing cloth, and professionally produced user’s manual. If my intention were to purchase a timepiece as a gift, this presentation box would provide an incentive to choose the Benyar chronograph. While I prefer stainless steel, this watch’s metal alloy case appears to be reasonably sturdy. It does, however, produce an irritatingly tinny sound when removed from my wrist and placed upon my bedroom dresser. The pushbuttons jut out from the edge of the case and at times I have unintentionally initiated the stopwatch function. If unnoticed, this will reduce battery life. Advertisements for the Benyar chronometer note that it includes a genuine Japanese movement. While I suspect this is correct, the movement’s origin cannot be verified due to my inability to remove the caseback. Either it is cross-threaded or I have reached that sad age where muscles began to atrophy. I really hope it is the former. 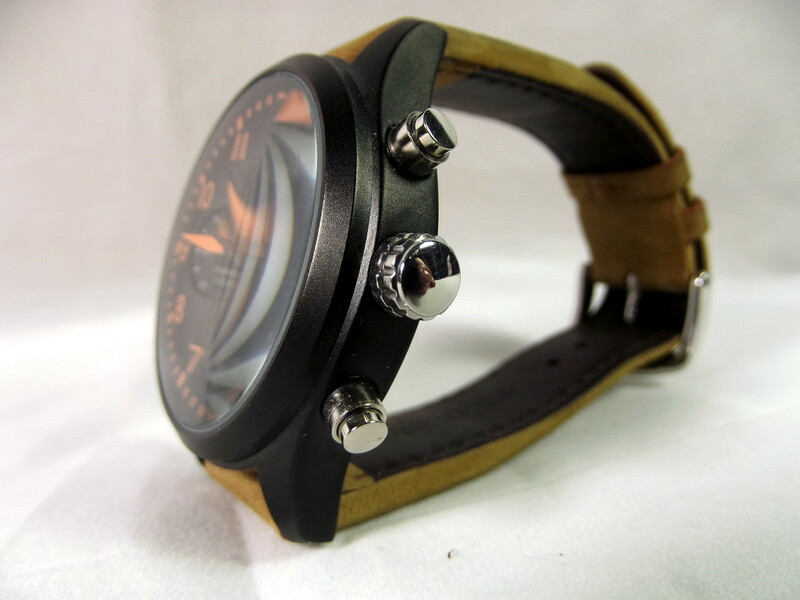 The soft and supple leather strap feels sturdy and should provide good service. All pushbuttons function correctly and both the time and date can be easily set. These are the hallmarks of a quality movement. While this watch is not perfect, the Benyar BY-5103M’s strengths far surpass its weaknesses. If you are in the market for a reasonably priced chronometer, this timepiece will be on your shortlist. 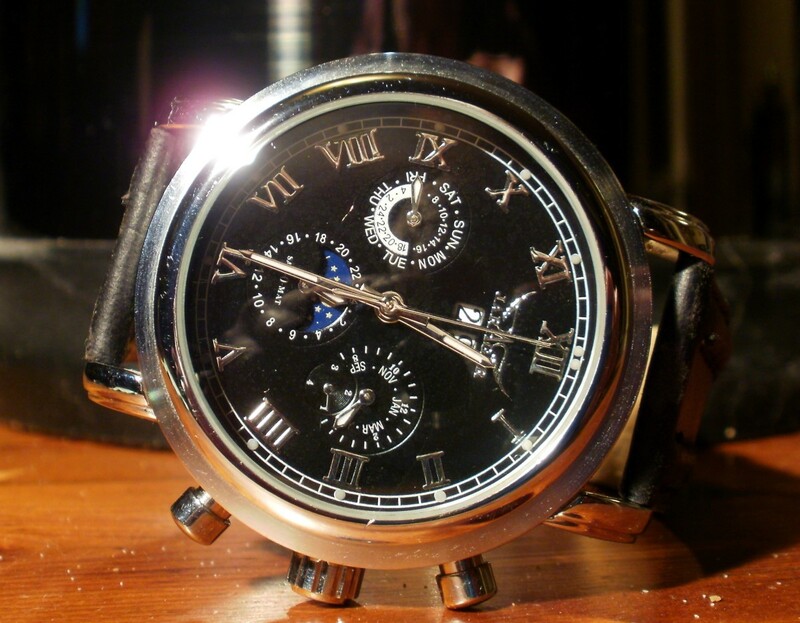 A chronometer is one of the more expensive functions available to an analog watch. The following survey attempts to measure how interested potential customers are in this particular feature. 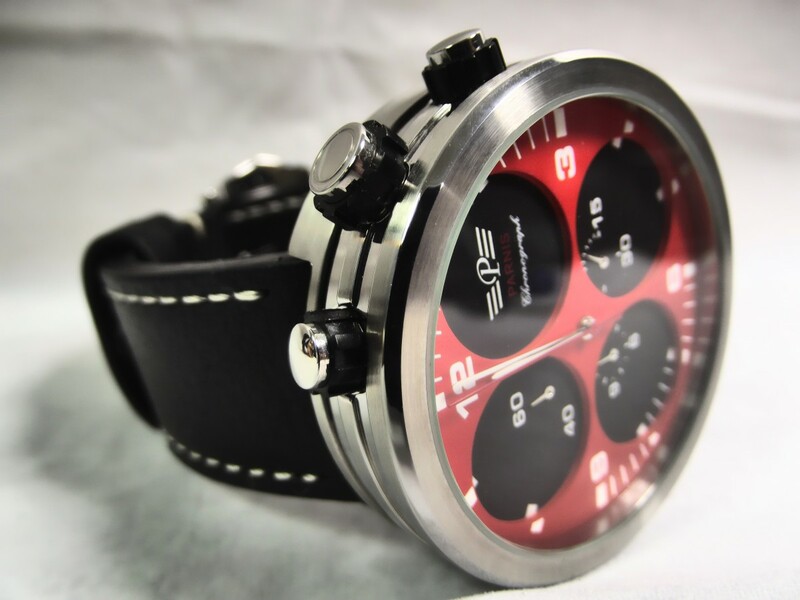 How interested are you in purchasing a chronograph? How can I pick a winner if I can't time the ponies? Of course I need one. Chronographs are sort of cool. I'd pay a small premium to own one. A waste of money. In the unlikely event I'd actually need to time anything, I'd use a stop watch. Is it true that the numbers on a BENYAR tachymeter bezel rub off after a few weeks? Thanks for the info Shilly.